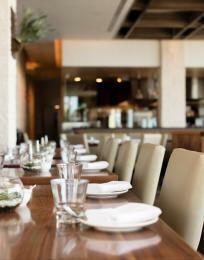 Valentine’s Day is around the corner - and if you’re anything like us, you’ve yet to secure a reservation. Time has snuck up on you, restaurants are filling up, and the pressure to have the “perfect night” is looming… But never fear! 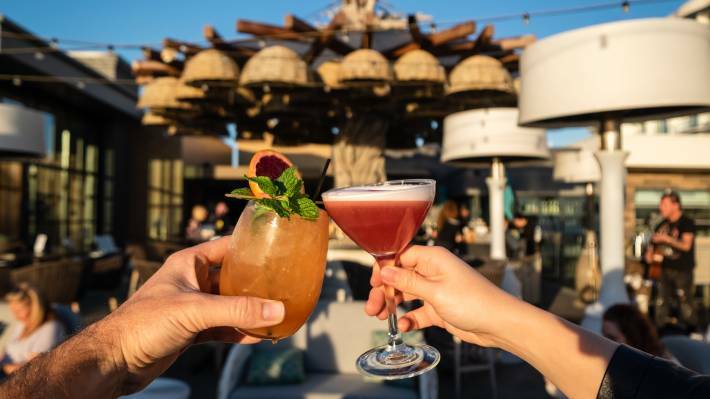 Huntington Beach is filled with fun, romantic, affordable, and meaningful date spots that don’t require any planning ahead. No matter who you’re taking out and what their interests are, these last-minute dates are sure to spark love! 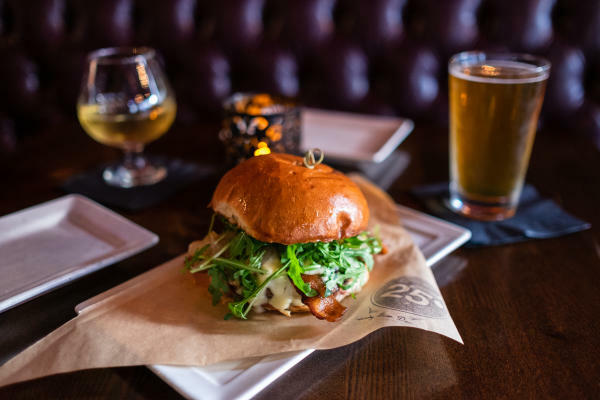 Nothing says “I love you” more than a good, old-fashioned burger and fries, and you can find some of the best burgers in Orange County at 25 Degrees! They’re big, juicy, and packed with flavor - and the cocktails here are just as good! Want to really impress your date? Ask to see the “Black Book,” featuring off-the-menu drinks and food (try the poutine fries). Valentine’s dates can be so cliché and by the book… but they don’t have to be. Take your date to Pacific City’s modern food hall, Lot 579, where the dining options are nearly endless. Burnt Crumbs serves gourmet sandwiches like you’ve never had before - our favorite (and most unique), is the spaghetti grilled cheese. It’s a carb-lovers dream! 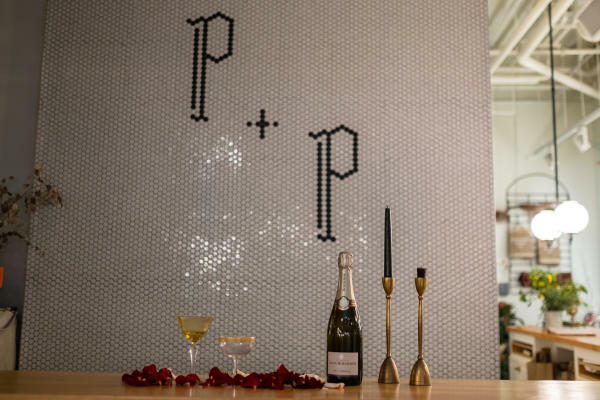 Wash it down with a glass of bubbly at the whimsical and trendy Petals & Pop Champagne Bar, just across the hall. Sunset views and happy hour prices… does it get any better than that? Oh, we should mention that Tanner’s Treehouse serves some of the best craft cocktails in town. And during Happy Hour (4 - 7 p.m., Monday - Thursday) they serve select cocktails, beer, wine, and appetizers, for under $7! 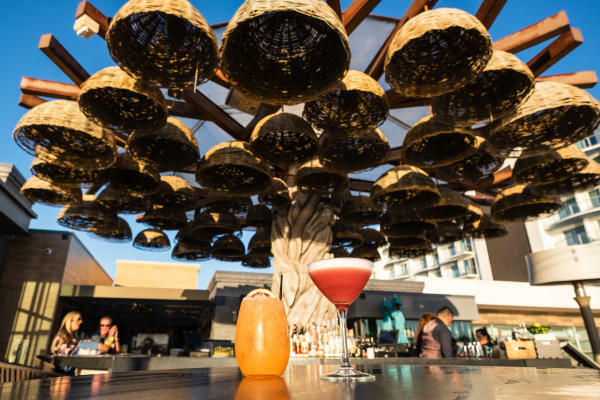 Grab a seat at the Instagrammable treehouse bar, order a round (or two) of drinks, and watch the sun set over the ocean. Talk about dreamy. There’s a good chance that sweets are the way to your date’s heart... so why not cut straight to dessert? 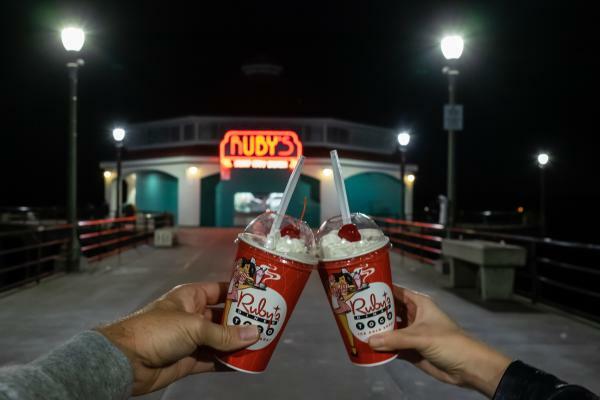 Take a romantic stroll down the Huntington Beach Pier to the iconic Ruby’s Diner. Order your favorite shake combinations (our favorites are peanut butter and Oreo, or coffee and chocolate turtle), and watch the waves crash beneath you. You’ll quickly wonder why you don’t do this EVERY night! 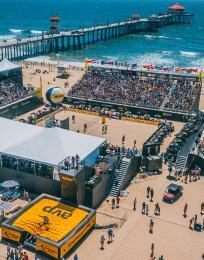 Did you know that Huntington Beach is home to the largest city-owned and operated park in Orange County? Huntington Central Park has over 365 sprawling acres of trails, lakes, cafes, a library, and SO much more! 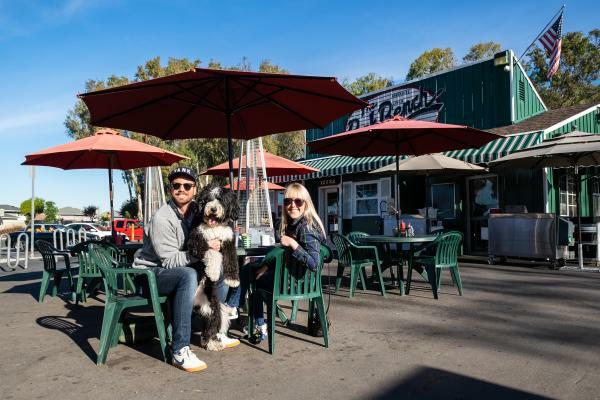 If you and your loved one’s idea of a good time is going out with your pup-in-tow, we suggest heading to the Park Bench Café for breakfast or lunch. 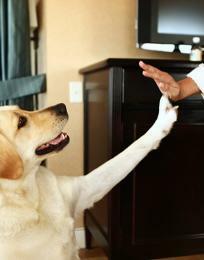 They even have a dog menu, so your little furry friend won’t have to go hungry! After you eat, go for a walk around the picturesque lake. What’s more romantic than that? Who says a Valentine’s date has to be for dinner? 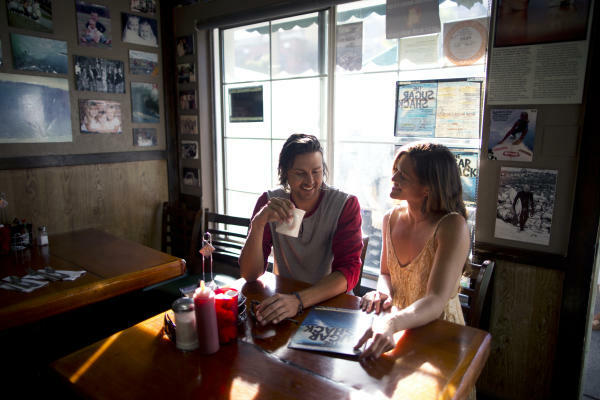 Start the romance early with a drool-worthy breakfast at the famous Sugar Shack Cafe! They’ve been serving heaping breakfast dishes in Huntington Beach since 1967, and it’s still just as good! Order your favorite dish and then surprise your significant other with a stack of pancakes to share. YOLO! A great Valentine’s date doesn’t have to break the bank! 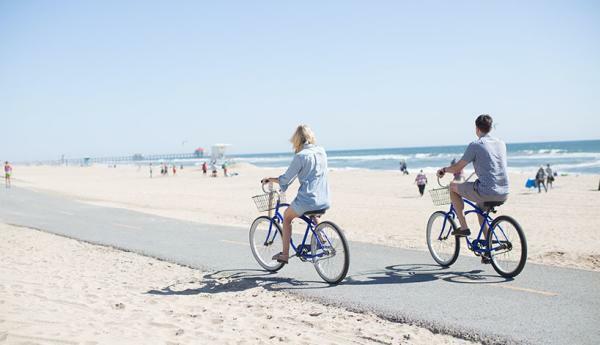 If your significant other’s love language is quality time and being outside, bike the Huntington Beach trail! 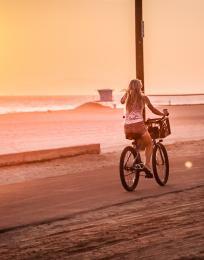 It’s a flat, no-stress, picture-perfect trail that takes you from Sunset Beach to Newport Beach! Stop at Sancho’s Tacos for high-quality, affordable tacos - with an ocean view! 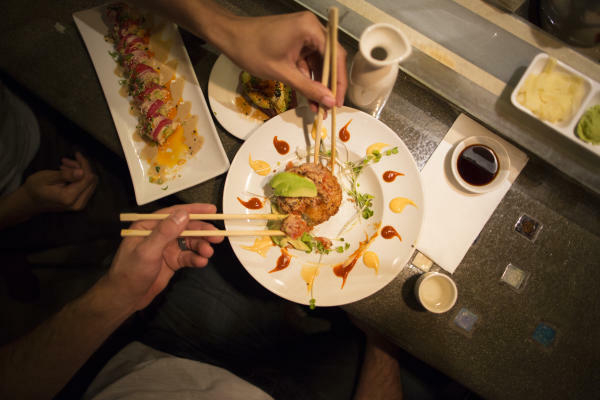 Sushi is more than just a craving - it’s a love language. If you and your significant other can relate, head straight to Sushi on Fire. It’s authentic, Japanese sushi that’s not only flavorful, but beautifully presented. And any roll can be made spicy, so your night is bound to heat up real quick! We’re Alli and Bobby Talley, and we are the Traveling Newlyweds. Our passions for travel, good food, and great photography run deep… and our love for each other is even deeper. We believe that being married is the ultimate adventure, and that there is no better time to travel than now! We aim to inspire couples to explore the beautiful world that we live in, whether that’s through a scenic road trip or an exotic cruise… now more than ever, traveling is attainable, affordable, and doable.